Sungeeta Jain. For our 40th interview, IPF is honored to present to you the founder of The Orphanage Project. From Seattle to Nigeria to New Delhi, and back to Seattle, Sungeeta's life has taken her to many places. She endured a life altering injury, that would have kept most people down. She found salvation and deliverance through finding her savior, Jesus Christ. Among her many accomplishments and the many blessings of God in her life, Sungeeta won the title of Miss Teen of Washington in 1993, becoming the first person in the world in a wheelchair to win a pageant against other girls who were not in a wheelchair. She was also third runner up in the Miss Teen of America Pageant. In 1997, Sungeeta graduated from a top engineering college in the US with a Bachelor’s degree in Electrical Engineering. As an engineering student, she worked as an intern at the world’s foremost aerospace company, The Boeing Company. She then went on to get a Juris Doctor degree in Law. Out of college she worked as a law clerk to two federal judges. Sungeeta then began her ascent up the partnership ladder as an associate at Perkins Coie, a premier law firm in the Pacific Northwest region of the United States. It's our hope that through this interview, you can become more aware of a ministry that you can actually get involved in and support. Chung Lao: Sungeeta, thanks for being here, how are you? Sungeeta: I am well. Thank you for giving me this opportunity. Sungeeta: I was born and raised in Seattle, Washington. When I was six months old, my family moved to Nigeria for a few years. After that, we had plans of settling back in India, near New Delhi, but it did not work out. So, we ended up back in Seattle. I have been pretty local most of my life. I received both my Bachelors Degree in Electrical Engineering and my Juris Doctor degree in Law from the University of Washington. Chung Lao: June 14th, 1986. What do you remember about that day, and how has it affected your life since? Sungeeta: June 14, 1986 is the day my life completely changed. That is the day my family and I were in the car accident that left me a paraplegic. Before the accident, I was like any other ten year old; I could run, jump and dance. However, after the accident, doctors told my parents that I would never walk again. I would be confined to a wheelchair for the rest of my life. But, I do not regret the car accident because I know that perhaps the accident is the only reason that today my entire family believes in Jesus. After the accident, my family was on a mission to see me healed. And as we moved forward on this mission, we met Jesus, and once again, our lives were completely changed. Some people look at me and say, “But you are still in a wheelchair. Jesus has not healed you. So, what is the big deal?” But, Jesus has promised me that He will heal me in His time. When I was fifteen years old, Jesus spoke to my mom and told her, “Millions of people will know about Sungeeta before I heal her.” At the time we questioned how millions of people could know about an ordinary girl. However, after I won the Miss Teen of Washington Pageant, my story went in television and newspapers all over the world and millions of people knew about me. If the first part of what the Lord said has come true, the second part will come true as well. He will heal me. Right now the Lord has said that He will take us around the world to preach the Gospel and as we lay hands on the sick they will recover. Then He will heal me. The Lord has been doing just that. One year ago, the Lord lead me to quit my job as a lawyer at a leading law firm in Seattle in order to move to the outskirts of Delhi to serve Him fulltime. We have seen people healed of all manner of diseases, financial difficulties, job issues, tension, addictions, and oppression, as we pray in the name of Jesus. Chung Lao: Your family was part of the Jain religion (originating in India), how did you convert to Christianity? Sungeeta: As I said above, when I was ten, my family and I were in a devastating car accident. We were returning home from Vancouver, B.C., when all of a sudden, our car skidded on gravel and flipped into a ditch. What followed was like a bad dream. There were doctors and nurses all around me, shoving all sorts of tubes into my body. When I finally woke up, although the doctors had gone and there were no more tubes, the fact remained that I could no longer feel or use my legs. I was sentenced to life as a paraplegic. Immediately I spiraled into depression. Questioning everything. Questioning my future. Questioning God. Questioning my very existence. After the car accident, my family became extremely “spiritual.” My mom prayed from morning until night, religiously folding her hands and bowing her head before the long line of gods in the makeshift temple in our home. Pundits (Hindu priests) would tell my parents that if my parents “donated” a certain sum of money, the pundits would perform a ritual and I would be healed. My parents spent thousands of dollars, but there was no healing. We tried acupuncture, reflexology, ayurvedic medicine…all to no avail. We chased after every ray of hope anyone would give us. There was no peace in our home. Then one day, we met a Christian man. He offered to pray for me. Because his prayers were free, my parents agreed. He began telling me of a different kind of God. A God of love. For years I had believed that God was upset with me -- that I was being punished for my sins. The Hindu notion of karma was imbedded deep within me. But this man told me that Jesus loves me. He loves me so much, He died for me. I don't know when or how, but I started to believe in this Jesus, this God of love and forgiveness. One night, my Mom, Dad and I went to church. My parents prayed a silent prayer in their hearts, "Jesus if you are real, show us something today, otherwise we are not coming back." I prayed, "Jesus, I know you are real, show my parents something tonight or else I know they will never come back again." And sure enough Jesus showed us. That night I was filled with the Holy Spirit, not even knowing who the Holy Spirit was or the story of Jesus. A couple of weeks later my mother was filled with the Holy Spirit. And within a week, the remainder of my family received the baptism of the Holy Spirit, with the evidence of speaking in tongues. That same day, we all took water baptism in our bathtub. Chung Lao: Upon converting, what were some of the things you and your family stopped doing? Sungeeta: When we converted, thankfully no one handed us a list of dos and don’ts. Instead, the Holy Spirit became our teacher and our guide, showing us how to live according to His will. Jesus did not require us to change our name, our culture, our way of dress, or our eating habits. The main thing we stopped doing was praying to other gods. Instead, we began praying to the only true and living God, in the name of Jesus. As soon as we came to know Jesus and were filled with the Holy Spirit, instantly, the joy and happiness returned to my family. God, who had once seemed so far away, was now right here with us. When we prayed we no longer wondered if God heard our prayers, but we knew that He not only heard our prayers, but He answered them as well. When we cried we no longer wondered if God saw our tears, but knew that He not only saw our tears, but wiped them away. When we were happy we no longer wondered if God saw our happiness, but knew that He not only saw our happiness, but celebrated with us. God became real to us. Chung Lao: You have won multiple beauty pageants including the title of Miss Teen of Washington in 1993, becoming the first person in the world in a wheelchair to win a pageant against other girls who were not in a wheelchair. You were also third runner up in the Miss Teen of America Pageant. How were those experiences? Sungeeta: Amazing. As a little girl I used to walk around the house in my prettiest Indian dress and declare that I was Queen. The Lord made that dream a reality when He gave me the opportunity to win various pageants. When I was in the twelfth grade, I was invited to participate in the Miss Teen of Washington Pageant. My first reaction was that that there was no way I could enter this competition. I had never heard of a girl in a wheelchair entering a beauty pageant, let alone seen a beauty queen in a wheelchair. But my parents encouraged me to pray and seek God's will. So we prayed and God told me to enter the competition. God also told me that if He has given me a talent, then I should use the talent, and when people say “job well done,” I should give Him the glory. God also told me to thank Him in all things, good or bad, because He is in control and can turn any situation around. With this guidance, I entered the competition. From the first moment, everything seemed to be going wrong. When I arrived at the venue for the competition, which was almost 2 hours away from my home, I remembered that I had forgotten some of my important paperwork at home. That evening I arrived at the competition around 6:00 PM and assumed they would provide dinner, but they did not. I went to bed hungry. That night, I could not sleep; I was too scared, nervous and excited. The next morning, I was up and ready, way before the wake-up call ever came, waiting for my breakfast. It was supposed to be delivered to our room. But, as “luck” would have it, my room was conveniently forgotten! The competition began and it was time for the Interview, which was worth 25% of the final score. In the interview, we went before a panel of three judges who could ask us any questions for five minutes. The interview started off okay as I shook the three judge's hands, and we exchanged greetings. We conversed for a bit, then one of the judges asked me, "you are in a wheelchair, why are you here?" Upon hearing this question, I began to cry. Not only was I nervous, hungry, and sleepy, but it was a difficult question for me. I did not know why I was there. There were about 30 girls in the competition and I was the only one in a wheelchair. I was not like the other girls. Perhaps the judge was subtly telling me that I did not belong. Still, the interview continued, and through my sobs and with tears rolling down my cheeks, I continued to answer questions. Just as I stopped crying, time was called, and I had to leave. I went up to my room and phoned my mom. I had never thought that I would win the competition. My goal had been to be in the top eight. Now that I had cried during the interview that was worth 25% of the final score, there was no chance that I would meet my goal. As I told Mom what had happened, she simply reminded me that God had said to thank Him in all things even if they didn't appear to be "good." In obedience, a weak, "Thank You Jesus," proceeded from my lips. The next day the final pageant began on stage. They began to announce the top eight. Each time a name was announced, my heart fell. Even though I knew I would not be called as a finalist because I had cried during my interview, I still wished that I would. By the time the seventh finalist was announced, I had pretty much given up. I looked around me and picked the prettiest girl, expecting that her name would be called next. To my surprise, I heard my name. I began to praise the Lord. That night continued like a dream. From the top eight, I made it to the top four. I could feel God helping me every step of the way. He was telling me what to say. He was guiding me on what to do. Soon it was time to announce the runners-up and the new Miss Teen of Washington. They began with the Third and Second Runner-ups. I was sure that I would be one of them, but each time, a different name was announced. Finally, only another girl and I were left on stage. I looked at her and she was tall and thin and experienced with pageants. So, I prepared myself to be second place. The first Runner-up was announced, and when I didn't hear my name, I just burst into tears. Never in my wildest dreams had I ever thought that I would be the new Miss Teen of Washington and the first person in a wheelchair to ever win a pageant against other able-bodied girls. This is not my victory a lone, but also my Heavenly Father’s. The first question I asked the judges was, “How could I make it even to the top eight when I cried during the interview?” I was told that I had received the highest score in the interview portion. The judges told me that I was a teenager and they had asked a difficult question. The fact that I hadn't just run out of the interview in tears, but had stayed to answer every question showed strength and courage. Like the Lord had said, "Thank Me in all things and I can turn any situation around." He turned the hearts of the judges around. But, no matter how exciting it was to win pageants and have a crown and titles, my ultimate goal is not to be a queen in the world, but instead, my heart’s desire is to be a Queen in His Kingdom. Chung Lao: Tell us about The Orphanage Project. Sungeeta: Every 30 seconds 2 children become orphans. There are more than 100 millions orphans worldwide. There are an estimated 65 million orphans in Asia alone. It is hard to grasp such large numbers, but if you had these Asian orphans hold hands in a line, the line would go around the entire earth. If you were to follow that line of orphans holding hands, driving 60 mph, passing 1700 children per minute, you could drive 24 hours a day, mile after mile, hour after hour, day after day nonstop, for over 17 days, and you would still see orphans holding hands. These children are hungry, lonely and afraid. They have holes in their clothes and tattered shoes (if they have clothes and shoes). They feel cold, sad and forsaken. The Orphanage Project’s (“TOP”) vision is to transform the lives of these abandoned children. 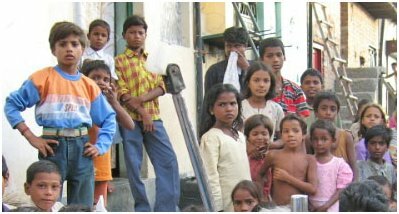 Our goal is to take these children in, care for them, clothe them educate them and love them. Our goal is to provide these children with a clean, safe, and nurturing environment. But we do not want to just stop there. The vision of TOP is to one day have a self-sustaining community consisting of a children’s home, orphanage, school, university, training center, women’s shelter, elderly person’s home, place of worship, hospital, library, park, play fields, technology center, shops, and other facilities that help a community to succeed. Our vision is to one day establish such communities all over the world. At TOP, our definition of “orphan” is broader than the traditional definition. We believe an “orphan” can be any person, child or adult, who through feeling or circumstance is alone, dejected, empty, destitute, unwanted, unloved, lost, or wandering. TOP is a branch of the ministry, World on Fire (www.WorldOnFireMinistries.com – the webpage is currently under construction). Chung Lao: What makes The Orphanage Project different from other non-profit organizations? 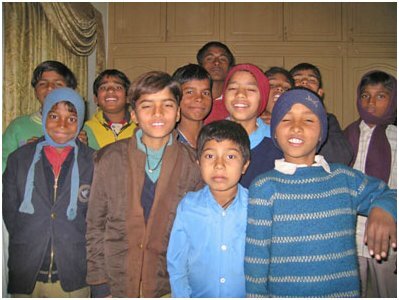 Sungeeta: The Orphanage Project’s ultimate goal is to develop into a self-sustaining non-profit organization. After initial monetary investments, The Orphanage Project hopes that the school we intend to run will eventually provide sufficient revenue to support our other endeavors. In that way, we would not have to continually solicit monetary support from donors. Chung Lao: Your sister, a doctor, decided to leave her profession, and begin missionary work in Japan, a long time non-Christian nation. How is her work progressing? Sungeeta: My elder sister graduated with degrees in Chemical Engineering and Medicine from the University of Washington (one of the top 5 medical schools in the nation). She was blessed with a prestigious family practice residency in Seattle, followed by a stable job. Her life as a doctor was amazing. She loved her practice, her patients, her staff, and her co-workers. And just when everything was perfect, God asked her to quit her job. At the time, she did not know where she was supposed to go or what exactly she would be doing. All she knew was that it was time to become a missionary and trust Him to take her to the next place. It wasn’t easy. She knew she would have no financial support. She wondered: Who would come listen to her? Where would she go? To make matters worse, 2 months after quitting her job, God told her that she was supposed to go to Japan, one of the most expensive countries in the world with a language she did not know! But, she went in faith and saw people receive freedom from depression, self-condemnation and suicide. The blind see and the deaf hear. In her was birthed a passion to see this healing love of God spread throughout Japan and to every nation of the world. The work in Japan is going full speed ahead. God continues to provide my sister’s every need. She just prays and asks her Heavenly Father for provision and He is faithful. She has been in Japan on-and-off for one year now. She is currently in the process of applying for a long-term missionary visa in Japan. It is the simple knowledge that Jesus loves her that has enabled her to do what the world calls crazy and people find reckless. She can live without fear, knowing that God has called me and so He will take care of her and all her needs. That is why she can give up a career as a successful doctor and become a nameless missionary. Chung Lao: There’s a lot of apathy amongst young people when it comes to missionary work. Why do you think that is, and how can we change that mindset? Sungeeta: I think there are a lot of reasons young people are not ready to enter the mission field these days. Some of the biggest reasons are (1) a reluctance to fully commit ourselves to doing His will, (2) apathy, (3) fear, and (4) limitations we put on Him and ourselves. I think the key to changing these mindsets is helping young people better understand the place they have in the Kingdom of God and the true power, authority and calling the Lord has given them. We see famous preachers on TV, hear the stories of healing evangelists, listen in awe as missionaries recount testimonies of amazing miracles, and think, “Lord, I want to see that kind of power in my life.” But we only half-heartedly believe that the Lord will actually answer this prayer. After all, aren’t some chosen and others not? God has different ministries for different people, right? We have been so impressed with the traditional belief that God has chosen a select few to move in miracles, signs and wonders, that we are not ready to believe that God wants His power to work through all believers. The Bible says, “these signs will follow those who believe.” Mark 16:15. They will speak in other tongues. They will cast out evil spirits. They will lay their hands on the sick and they will recover. They will see the manifest power of God working in their lives. “These signs will follow those who believe.” Mark 16:15 (emphasis added). As Americans, we are taught to pride ourselves in our individuality and uniqueness. But, to tell you the truth, I am just an ordinary person. There is nothing “special” about me. I have a bachelor’s degree in electrical engineering, a Juris Doctor degree in law. I am an attorney by profession. I was born and raised in Seattle, a city that has gained some worldwide prominence as the home of companies such as Microsoft, Boeing, Amazon.com and Starbucks. I am the youngest daughter of a middle class family. In my free time I like to write. I enjoy drama and acting. I am somewhat artistic. I love music. I collect Barbie dolls. Like I said, I am just an ordinary person. I Corinthians 1:26-29 says God is calling the ordinary to do the extraordinary. Only once we truly take this message to heart can we boldly go into the world and preach the Gospel to all creation with these signs following. Sungeeta: The signs seem to point to that. But I have no idea when the Lord is coming back or whether or not He will return during my lifetime. I choose not to dwell on these things. Instead, I choose to live each day to the fullest for the Lord. Chung Lao: Name someone you admire and why? Sungeeta: I know this may sound clichéd, but I admire my mother. My mother is…just…Wow! She is the most selfless and giving person I know. When in Seattle, she spends a lot of time in the kitchen cooking for the many people who are in and out of our house every day (sometimes our house feels like Grand Central Station). When on the mission field, she is my partner in ministry. We travel and minister together. Although she is often “behind the scenes,” she does not complain. She serves with a smile. My mom is a true woman of faith. She is definitely a driving force behind the faith and accomplishments of her children. Sungeeta: The word “thing” is so broad…I am not sure how to answer. I think the most important “place” to be in life is in the center of God’s will. The most important “relationship” in life is our relationship with Jesus. The most important “emotion” in life is love. The most important “feeling” in life is happiness. The most important “dream” in life is the dream that we hold onto despite discouragement and circumstances. The most important “people” in our lives are those who have touched us and made a difference in our lives. The most important “work” in life is to do His will. The most important “word” in life is the word of faith or encouragement. The list could go on…but I will spare you. Chung Lao: What are some of your favorite scriptures? Sungeeta: Psalm 37:4 – Delight yourself in the LORD and he will give you the desires of your heart. Romans 8:28 – And we know that all things work together for good to those who love God, to those who are the called according to His purpose. I Thessalonians 5:16-18 – Rejoice always, pray without ceasing, in everything give thanks; for this is the will of God in Christ Jesus for you. Acts 1:8 – But you shall receive power when the Holy Spirit has come upon you; and you shall be witnesses to Me in Jerusalem, and in all Judea and Samaria, and to the end of the earth. Chung Lao: You’ve been on several trips to a Juvenile Jail in Seattle, Washington. Tell us about that experience. Sungeeta: On January 21, 2005, one of the first times I visited the Juvenile Detention Center in Seattle, the Lord began a period of intense training and preparation in my life. Although I did not have the time that day, as I was busy at work (I was working as a lawyer at a leading law firm in the Pacific Northwest) helping prepare for a high-profile trial, I made the time to go on an outreach to the juvenile jail. We had recently begun a ministry at the juvenile detention center. We were scheduled to minister at the jail the third Friday of every month and the second Sunday of every other month. On the Sunday nights we held church services in the gymnasium for two groups of 40 to 60 kids each. On Friday nights, we broke up into small teams and ministered to groups of 8 to 10 kids at a time. On this Friday night, there were approximately ten boys in the hall we were assigned to minister in. It was an interactive group of kids. As we were sharing our testimonies, they would interrupt us with questions and comments, some relevant and others not so relevant. As I was sharing my testimony, when I spoke about God talking to me, a sixteen year old boy, Timothy,  interrupted and asked "How does God talk to you?" "I think all of the stories you are telling are fake! God is fake!" Tim said with a firm determination. Ask Jesus to show you if He is real. I did not believe in Jesus because of something someone told me. I believed because He showed me. In the same way, I don’t expect you to believe because of what I am saying. Ask Him…he will show you. Give Him a chance. You have nothing to lose…and everything to gain. Then, I shared a little bit about the Holy Spirit and how to receive. I invited those who were interested to pray. Most of the kids began to pray. And, to my surprise, Tim started to pray as well. I went up to Tim and asked if I could pray with him. He nodded his head. As soon as I touched Tim’s forehead...it was like WOW! Tim immediately began speaking in tongues! He began to sob loudly as God's presence covered him. God was all over him! All of the other kids in the hall saw this and knew that God was real. They began praying harder, asking Jesus to touch them too. Six of the boys in the jail received the Holy Spirit that night. Tim’s conversion lead to the conversion of at least sixty other young men and women in the detention facility over the next six months. I could fill up a small book with stories about the work the Lord did in the Seattle Juvenile Detention center in the first part of 2005 through Tim and other young men like him. We experienced miracles, signs and wonders beyond our wildest imaginations. I have changed the name for privacy reasons. 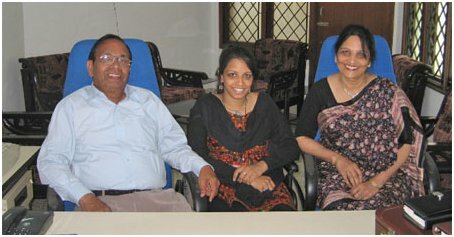 Sungeeta: Last winter, I was in Chennai on a missions trip. In between meetings, Ajay, a young guy who is like a little brother to me, and I decided to go to a fair. At the fair, every time I would say I wanted to eat something, Ajay would dissuade me by telling my how un-hygienic the preparation was. 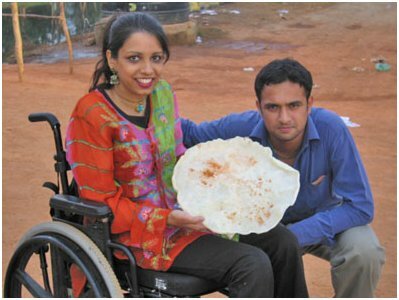 When I had lost all hope of ever getting to try any of the delicacies at the fair, Ajay agreed to buy me a HUGE pappaddum. I guess he reasoned that because it was fried, all of the germs were killed in the hot oil. Chung Lao: Your brother has started a Christian clothing line. Tell us about it, and also provide us with the link. 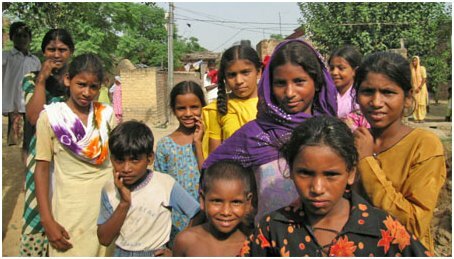 Sungeeta: Who says a group of kids can’t change the world? Approximately one year ago, my brother and his friends, a group of 20-somethings, freshly graduated from college with degrees in Computer Engineering, Finance, and Applied Mathematics, turned down high-paying, prestigious jobs at reputed companies, in order to pursue a dream. Despite their parents’ advice to take the safe and traditional route of a 9 to 5 job, the fact that their friends were climbing the corporate ladder at Fortune 500 companies, and neigh-sayers telling them that theirs was an impossible dream, they followed their hearts and the leading of the Lord. Their goal: To devise a new and innovative method to give back to the world community. After countless hours of prayer, brain-storming and research, the vision for JesusBranded (www.JesusBranded.com) was born. JesusBranded is a faith-based t-shirt company. All JesusBranded offerings feature the finest raw materials and construction methods from nations around the world. JesusBranded is currently in its first year of production. A significant portion of the proceeds from the sales of JesusBranded merchandise will go towards humanitarian and faith-based efforts around the globe, including The Orphanage Project. Sungeeta: I wouldn’t say there is anything I can’t stand in a person. But, one characteristic I try to avoid when picking friends is dishonesty or people who act with hidden agendas. I like my friends to be trustworthy and straight-forward. Chung Lao: In addition to prayer, how can people support / get involved with The Orphanage Project? (1) Purchase a t-shirt from www.JesusBranded.com. Proceeds from the company directly support our efforts at TOP. (3) Plan a short term missions trip. We are open to having individuals or teams join us for short terms missions to help us with the work. Sungeeta: Concentrate on what you can do rather than on what you cannot do and God will make all things possible. Chung Lao: Thanks Sungeeta, next up on The Tonight Show is Manoj Mathew from our affiliate, The Mathew Family Album. Keep it locked in for that one.